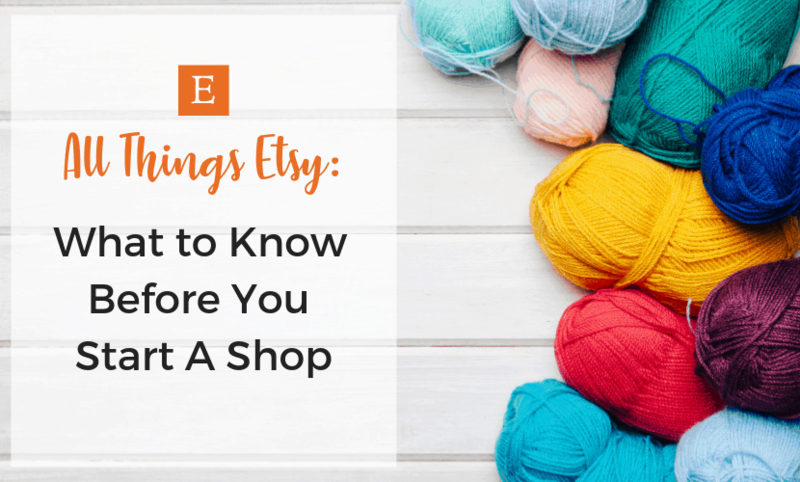 Hello and welcome to the first part in the All Things Etsy series! If you’re here, I’m sure you’re ready to get things rolling and build your Etsy empire, but there are a few things to cover first. While Etsy is an amazing platform for creative people to make an income and a living doing what they love, it’s also a lot of work. To have a successful shop on Etsy, you have to show up for it and put your best foot forward. 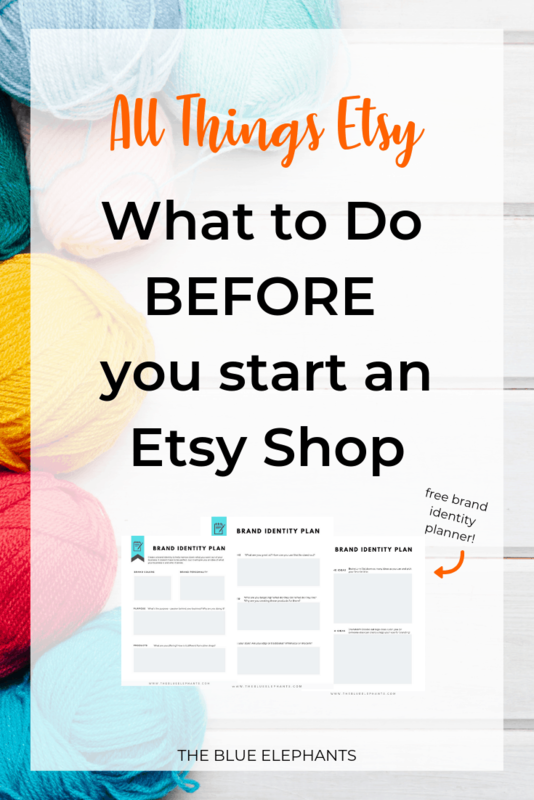 So before we get into the (k)nitty-gritty of opening a shop and figuring out pricing methods, let’s go over a few things you need to know before you start an Etsy shop. There are a lot of ways to make money crocheting and knitting. If you want to check out some of the other options, I wrote a separate post on 9 Ways to Make Money Crocheting and Work from Home that you can read too. This post (and the rest of this series) will focus on Etsy only. It’ll be more in-depth and cover a lot of things involved in running a business. 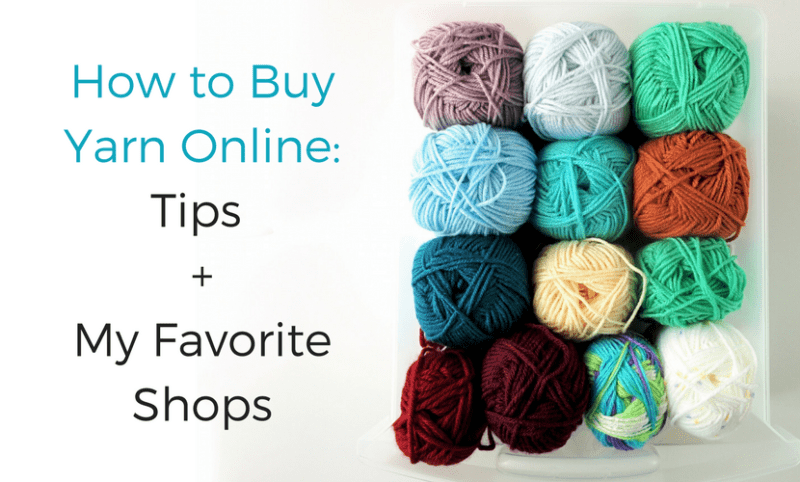 If you just want to make some cash selling your work or teaching crochet, read this post. Before you start an Etsy shop, decide what you want to sell and what you want your branding to reflect. You don’t have to get this part perfect right away, but it’s a good place to start and build from. Are you going to sell finished pieces or patterns? Are you going to have items ready in stock or make them as you get orders? What do you want to sell and why should people buy it? How does your shop make people feel? What’s the look you want for your brand? You can always adjust and rebrand if you need to but start somewhere that gives your business a cohesive feel and makes sense with what you’re selling. I’ve put together a brand identity plan to help you answer some basic questions about your business and branding. Click the button below to download it and start filling it out. Take your time and really think about what you want to capture in your shop. If you have the Make it Happen: Designer Pack, these pages are included already. Last year, Etsy came out with subscription packages that allow you to do more with your shop for a monthly fee of $10 USD, but these tools are meant for more established shops. The default for all shops is the Etsy Standard, which is free to use and includes all the basic features you would need. I use this method and haven’t seen a need to upgrade to Plus. So while it’s technically free to start an Etsy shop, there are some fees and costs that you should be aware of. There’s a lot I can say about the fees, and I can dive deep into how it affects your profits, but I’ll save that for another post. For now, let’s talk about the main costs. For every item you list on Etsy, you pay $0.20 upfront for the listing fee. This puts up product up for sale for 4 months or until it sells. When it does sell or expires after the 4 months are up, you can renew it for another $0.20. New sellers can click here or the button below to get their first 40 listings for free! This listing fee is the same no matter what you sell or what you price it at. When you’re first opening a shop and listing all your items at once, it can add up quick so be sure to take advantage of the 40 free listings. It saves us both $8! Another major cost you need to keep in mind when you start an Etsy shop is how much you actually spend on the materials to make your items. If you’re selling knit or crochet goods, you’ll have to buy the yarn, pom poms, tags if you want to use them, and maybe things like stuffing, safety eyes, and buttons. Even if you only (or mostly) sell patterns or other digital material, there are costs to that too. You still need the yarn and materials to make your initial item. You may need other tools or services if you sell digital products. Maybe you want to take a course to get you started on the right foot. These can add up; so buy items on sale whenever you can or find a way to work it into your pricing so it doesn’t end up costing you more than you make. ACTION STEP: Make a list! Get out a pen and paper and make a list of everything you need to make whatever it is you’re selling. Are you planning to take any courses? How much does everything cost? Is everything on the list essential? This will help give you an idea of what you’ll be spending up front to make and list your items. It can also help you pare down what you don’t need yet so you can minimize startup costs. As nice as it would be to list an item and watch it sell within minutes, it’s not likely. There are millions of items up for sale on Etsy, and your brand new shop probably won’t be seen right away. But it’s okay! Keep adding items, keep improving your listings, keep promoting your shop and just give it time. The sales will come, but you have to be patient. It took me over a month to make my first sale, even with my blogging experience and following I already had. Once you start, though, things pick up and you learn what works and what doesn’t. So don’t be discouraged if you aren’t getting as many sales as you hoped. Just keep at it! On Etsy, there are THOUSANDS of people already selling and making the same thing. I’m not trying to scare you or discourage you, but it’s something to keep in mind. With all these other sellers out there, you have to find a way to stand out and make your brand noticeable. You need to promote yourself and make sure you get seen because Etsy will not help with that. A saturated market doesn’t mean that you can’t find a place in it. It just means you need to work harder and create products you stand by. When I started selling patterns, I knew there were thousands of other crochet designers selling their patterns too – but my patterns were different. They’re my own style and I found people who saw that and purchased from me. ACTION STEP: Brainstorm what makes your products unique. Write down descriptive words and why you think people will buy your product over another. Anyone can start an Etsy shop, but you have to do a lot more than that to run a successful handmade business on Etsy. You have to treat it like a business for it to function as one. That means making the items you want to sell, researching how others are finding success and how you can incorporate that in your business. It means promoting your shop, taking care of customer service, branding, photography – it means working on your business even when it’s not working yet. ACTION STEP: Subscribe to this series! Over the next week, I’m going to be covering a lot more in this All About Etsy series. If you want to get updates when I post on Etsy related things – like how to set up shop, create a listing, take professional quality pictures, and make recurring sales – sign up for the series by clicking the button below! You can also sign up for my weekly newsletters with all my newest posts, patterns, and tutorials delivered right to your inbox every week by filling out the box below. It’s totally free and you’ll get access to the resource library with subscriber-only freebies to help you grow your business and make awesome stuff. That’s all for today though, so if you have any questions you want me to answer in a future post, leave them in the comments below. I’d also LOVE to hear what you plan on selling in your Etsy shops! Great advice. I’d add joining Etsy seller face book groups. I’m in a few and the advice and support you get from fellow sellers is amazing. I love selling on Etsy it’s a fab way to get a worldwide audience from your living room!